This is one of the first questions I was asked in the TYFA online parent support group I joined in the first few months after my son’s transition. I had no idea what a Safe Folder was. I was so new to all of this it just sounded like something strange. But I decided it must be important so I worked up the courage to ask. I hoped they didn't think I was an idiot. Many people responded. “It’s a lifesaver,” said one, “Its peace of mind,” said another. “It’s a stop-worrying-about-your-child-being-taken-away file.” Wait what?! My child could be taken away from me because he is transgender? My son had been diagnosed by two doctors, a psychologist, psychiatrist and a therapist. How could anyone take my child away from me when I am doing exactly what medical professionals were telling me to do? Well, as I soon found out from parents all over the country, children have been taken away from parents who let them transition. 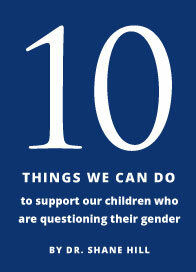 It was especially true in divorce cases when one parent supported the transition and another didn't. And while that may be wrong, at least it made a certain kind of sense. But then it got worse. Some families reported that Child Protective Services (CPS) had been called to their home by “concerned people” who reported them as abusive or negligent. That’s right. You thought your child was the only one being judged? Just wait. It’s amazing what “helpful people” can do to make your life even more challenging. And that’s why you need a Safe Folder. Honestly, I did not think that I would need a Safe Folder for our son because we live in Santa Cruz, a very open and LGBT-friendly community. My husband and I agreed to support our son in his transition and our family was incredibly supportive. But then something happened that made me feel very vulnerable. One night, the father of my son’s playmate called to let me know that his child could no longer be friends with my son. He said that my son being transgender could negatively affect his child, that my son could influence his son. To do what, I am not sure. But he continued with his ignorant rant about how we were bad parents and raising our child improperly. This father said things to me that shattered me inside. He was cruel, fearful and incredibly ignorant. And he had a lot of energy around it. After I got off the phone it dawned on me: what if this crazy man called CPS? Was I prepared to defend our decision? Did we have all our ducks in a row? Where was our medical proof from our medical team? I realized we weren't prepared and instantly saw the value in that Safe Folder. That incredible feeling of vulnerability fueled me: we had to be equipped to handle anything that came our way. And good lord, what if something happened to me or Ron? We needed this for whoever has to advocate for my son. Within two weeks I had supporting letters from friends, family, therapists and doctors put in our file. I had legal documents and pictures and anything else we needed. This mama bear was now ready for anything that might come our way. That was almost four years ago and I am so happy to say that I have not had to use our Safe Folder. Not once since I pulled it together. But now we have the peace of mind it gives us by knowing that it is there in case we need it. 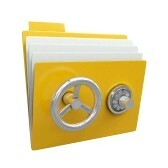 Have you created your Safe Folder? You can learn more about creating one on the TYFA website. Heidi - Thank you for your post. I have been thinking about creating a "safe folder" and your post, and details, have prompted me to get one going. Thank you for taking the time to write this post! Very helpful!